How does Canvas Catalog interact with my Canvas Account? As an admin, when you sign up for Canvas Catalog, you must also have a Canvas Account. Your Canvas Account is the foundation for your catalog and houses all the courses that you can create and manage as part of your course or program listings. Catalog also uses the data within Canvas courses to determine the completion state of each catalog course or listing. 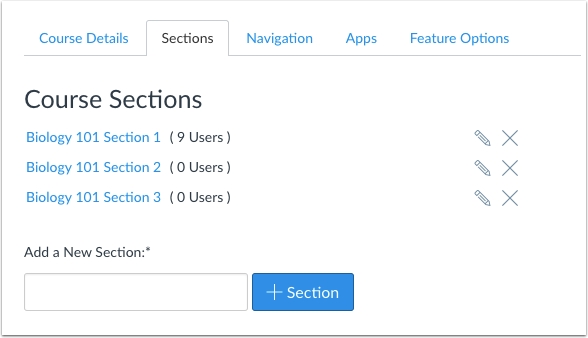 When you add and manage user defined fields, the custom user information is stored in Canvas. However, currently custom field information cannot be viewed in Canvas itself and can only be retrieved through the Canvas Users API. Requests should be used with the parent catalog account. 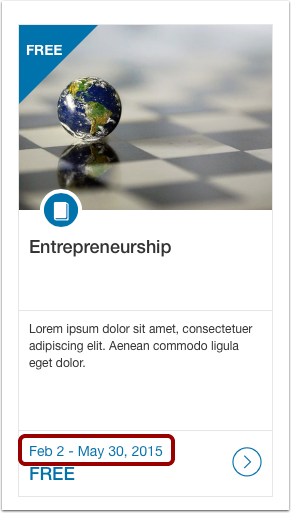 When you add a catalog course listing, Catalog references the list of existing courses within your Canvas account. 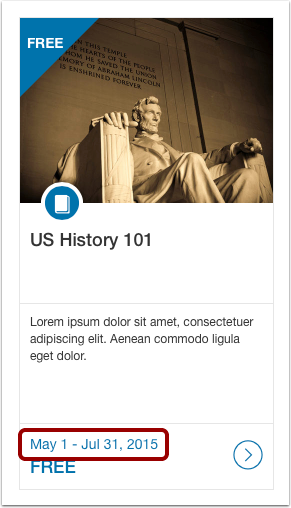 Catalog merely references the existing course and provides a location for you to create details about the course so students can enroll. 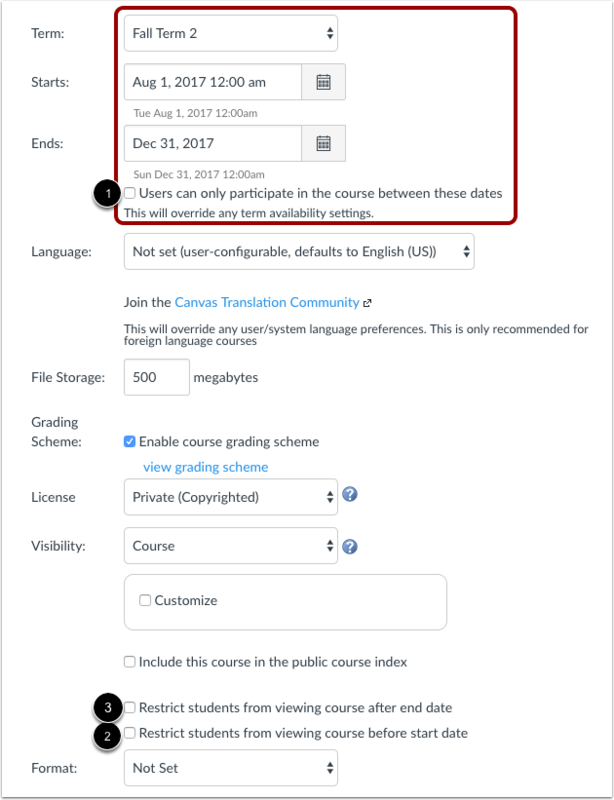 If you do not have any existing courses in Canvas, you cannot add a catalog listing. Additionally, when you add a catalog program listing, Catalog references all the courses that have been added as catalog listings. You cannot create a program listing without first adding course listings. The Catalog user dashboard displays a Completed tab that houses courses and programs that have been completed. To measure activity in the Course Progress indicator, Catalog uses course modules to generate progress data. If a course is not set up with modules, Catalog cannot identify the status of the course. In a Canvas course, Modules are used to organize course content by weeks, units, or as another organizational structure designed by a course instructor or designer. Modules essentially create a one-directional linear flow of what students should do to complete the course. Modules should contain course requirements that students must attain in order for the module to be marked as complete. Requirements can include viewing a page, participating in a discussion, or submitting an assignment. 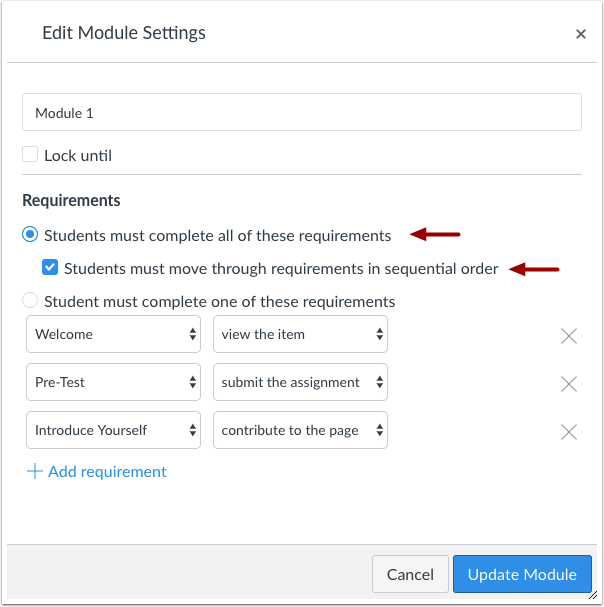 Additionally, students should be required to complete all requirements and move through module requirements in sequential order. If these options are enabled, Catalog can link the user to the next module requirement; otherwise, Catalog will link the user to the entire modules page. For more information about modules, visit the Canvas Instructor Guide. Note: At the conclusion of a course, if you want Catalog to add a course certificate or program certificate, Catalog does not support requiring students to complete only one module requirement. All requirements must be complete and completed in sequential order. Catalog listings are based on Canvas course section and course dates. Listings are considered active as long as the course falls within the dates specified. Once the course is outside the section or course date, the listing is also moved to the Completed section of the Catalog dashboard. For more information about section or course dates, visit the Canvas Admin Guide. Course dates can be edited in Course Settings. When setting course dates for Catalog use, the Users can only participate in the course between these dates checkbox  must be selected. Course dates also affect the Wait List for a course. 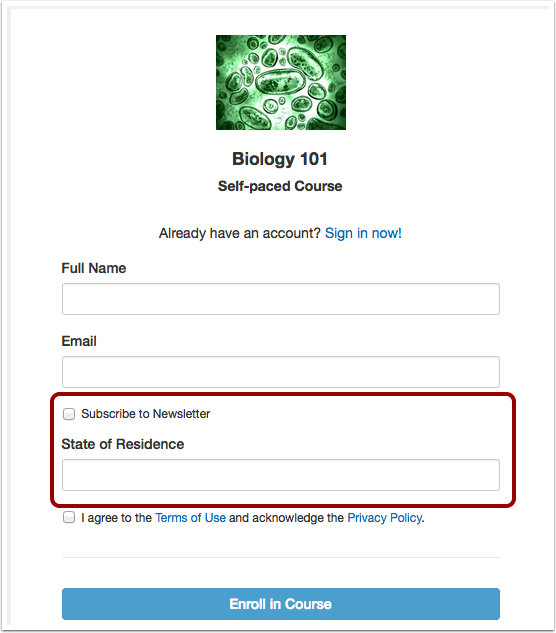 If you select the Restrict students from viewing course before start date checkbox , any students who enroll in the course can view the begin date for the course in the enrollment email, but the course does not appear in the Catalog Dashboard until the course start date. If you select the Restrict students from viewing course after end date checkbox , the course does not appear in the Dashboard Completed tab. In the New Enrollments catalog course listing menu, Catalog displays the course's default section, along with the course dates. The course dates are published as part of the course listing. If there are no start and end dates for the course, the section drop-down and the course listing display as self-paced. Each Canvas course contains a default section for student enrollments. Default sections are given the same name as the course. If a course contains additional sections, section dates override the course dates. If enabled, students enrolled in a specific section can only access the listing between specified section dates. Section dates can be edited in Course Settings. When setting section dates for Catalog use, the Users can only participate in the course between these dates checkbox should be selected. Section dates also affect the Wait List for a course. 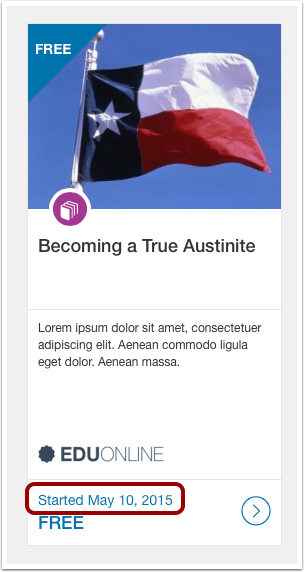 Note: A default section must exist in your Canvas course to work properly in Catalog. As part of the Catalog course listing, you can specify which section Catalog should use to enroll new students. The specified section for new enrollments is published as part of the course listing. If a course contains sections but they do not contain their own section dates, the section drop-down menu still displays the sections, but they will default to course dates, if any. Unlike regular courses in Canvas, Catalog does not verify term dates. If a course does not contain any dates except for the term dates, Catalog sets the course to be permanently self-paced with no start or end dates. If a program includes any courses with start and end dates, Catalog displays the start date for the first course in the program. Previous Topic:How do I view the Canvas Dashboard through Catalog? Next Topic:How do I add a user as an admin for a Catalog account in Canvas? Table of Contents > Admins - Canvas > How does Canvas Catalog interact with my Canvas Account?